There are a few areas in Queens that have a nice suburban feel complete with a yard. Many of these yards are quite small so keeping them up is essential to you being able to enjoy your outdoor space. Trimming of shrubs or trees, raking of leaves and general landscaping all results in yard waste that needs to be removed in order to allow you the complete use of your yard. You've worked hard to clean up your yard, and now you want to dispose of that yard waste and Flat Rate Junk Removal can help you with that removal. 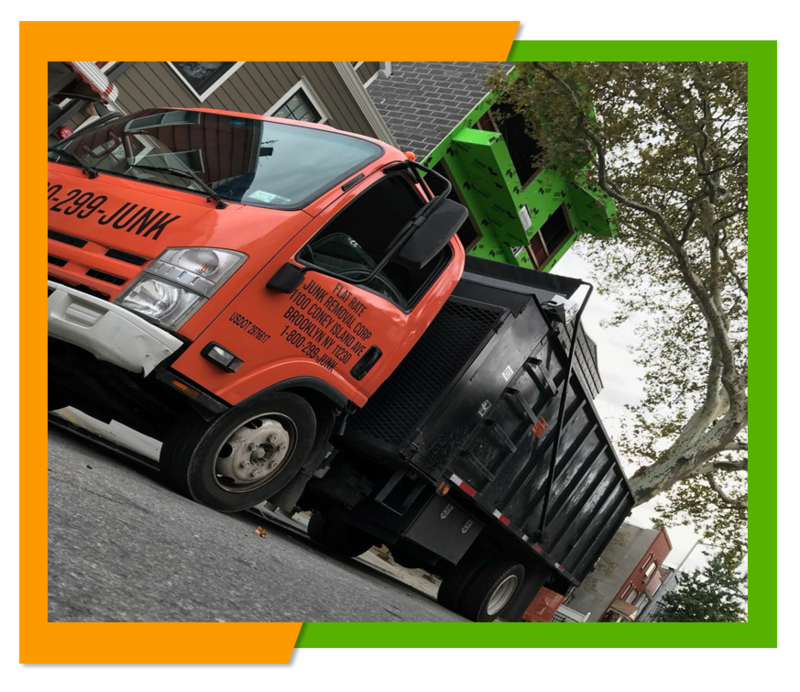 Just give us a call here at Flat Rate Junk Removal and set up a date and time that is convenient for you and we will come and remove all of your yard waste from dead leaves and grass cuttings to branches and even those dead trees that you have cut down. We will arrive at the appointed time and remove all of your yard waste for you and dispose of it. You won't have to lift a finger except to point at the yard waste you wish us to remove. Why Not Combine Your Yard Waste and House Junk for Removal? Here at Flat Rate Junk Removal we charge one flat rate for removing your junk or waste no matter how large or how small the load and since we take mixed loads then why not combine the junk you need to have removed from house with your yard waste removal and get your clean up all taken care at one and the same time. We will be able to take a full load for the same flat rate as a half of load. Taking care of all of your waste or junk all at once will make everything easy and convenient for you since we will do all the heavy lifting, and all you have to do is let us know what you need to have to removed. If you are like most of our customers then you want to know how much our services will cost you before you actually agree to hire our services. If you would like a free estimate then just give us a call and we will come out and determine how many loads you need to have from your premises and we will give you an estimate based on your individual needs. Once we arrive and load up your junk or waste we will never add any extra charges to your bill. The price we quote is the price you pay. We'll never surprise you with any extra unexpected charges. Why not browse our website right here at www.flatrate-junkremoval.com to learn more about our other junk removal services we offer. 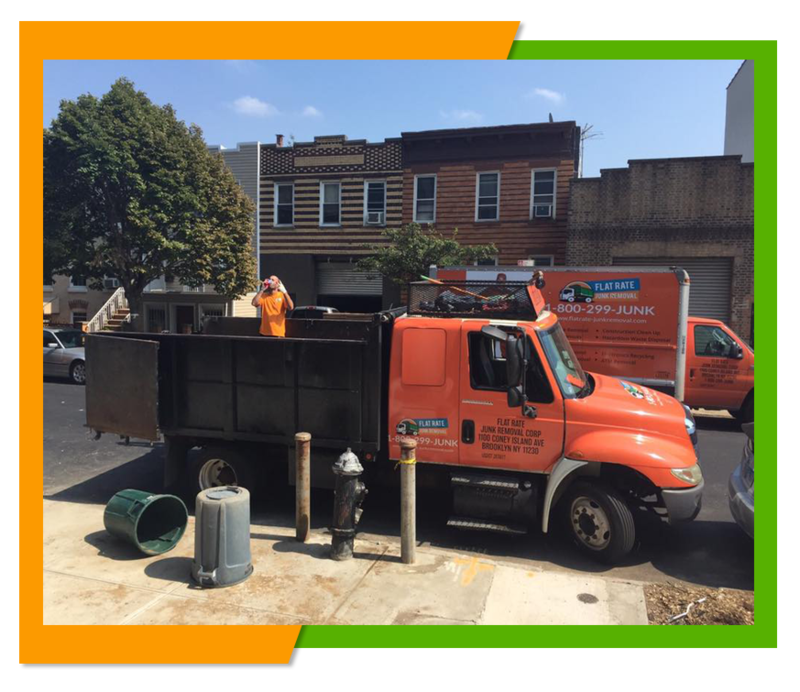 To schedule a free estimate or yard waste removal then give us a call at 1-800-299-5865 and we will be happy to be of assistance to you.